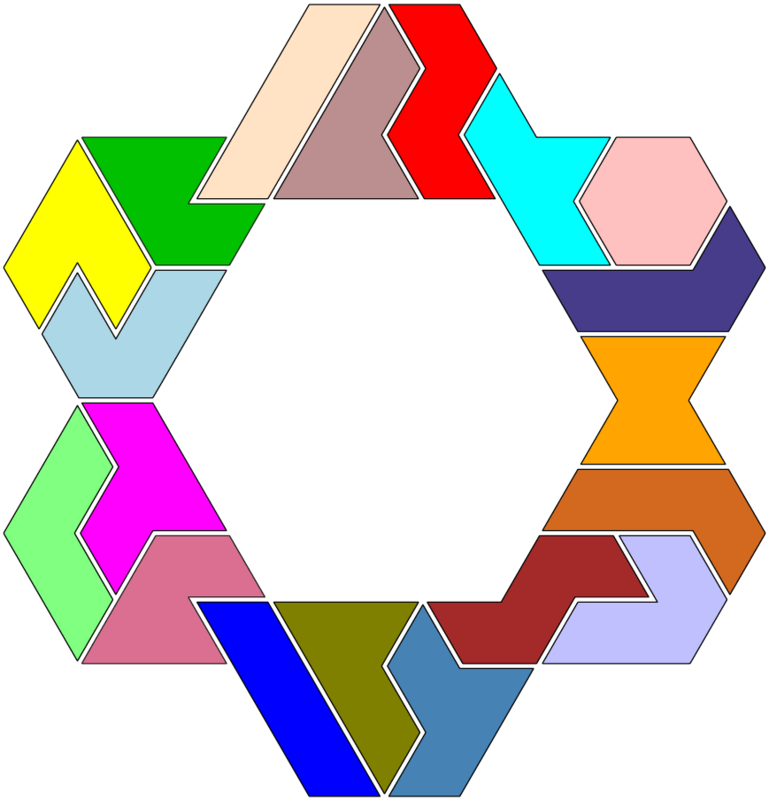 7 of the 12 Hexiamond tiles are not mirror symmetric. 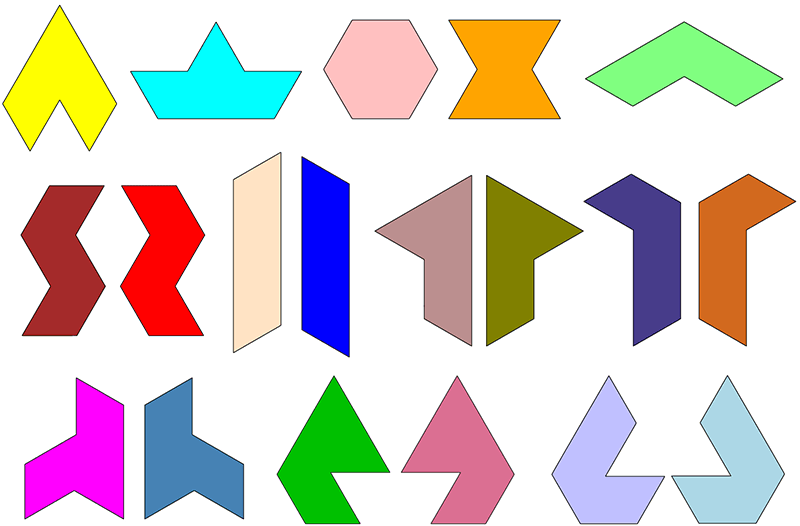 If you look at the mirror images of these 7 pieces as different – i.e. if you play without turning the Hexiamonds over – there is a complete set of 19 pieces. You can easily create such an extended hexiamond set from the templates on the download page. 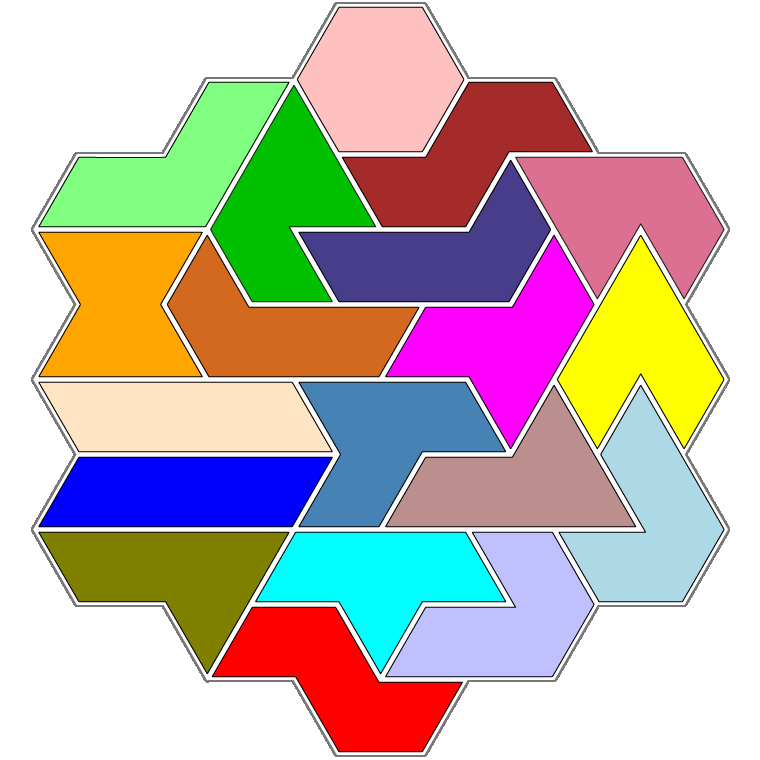 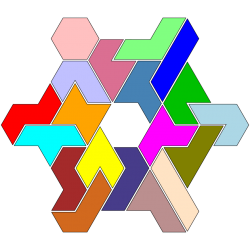 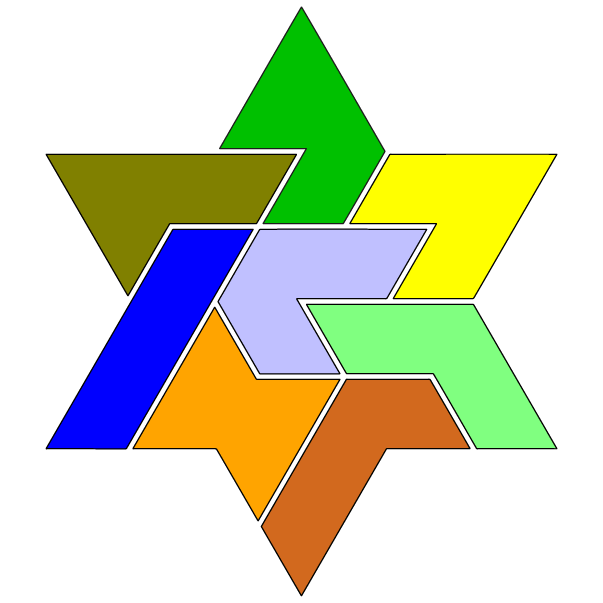 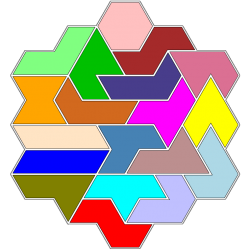 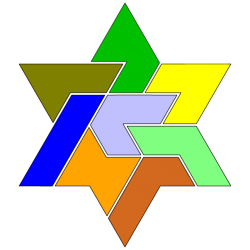 A Hexiamond figure can be at most 5 times rotationally symmetrical and have 6 mirror axes. 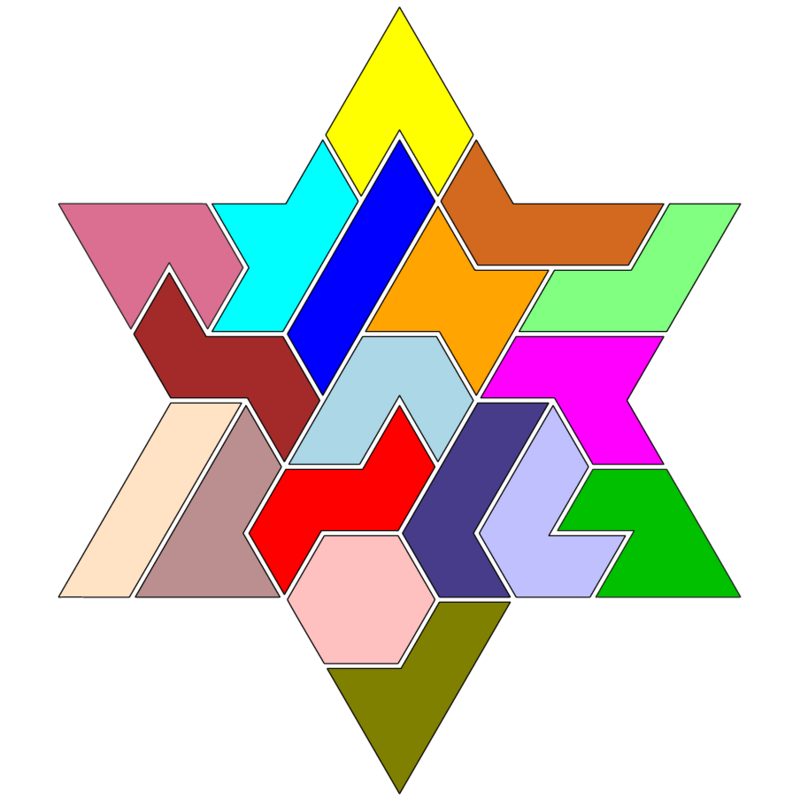 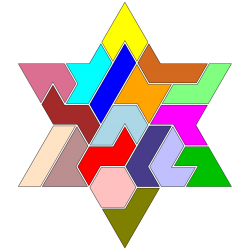 An example is the star of 8 Hexiamonds. 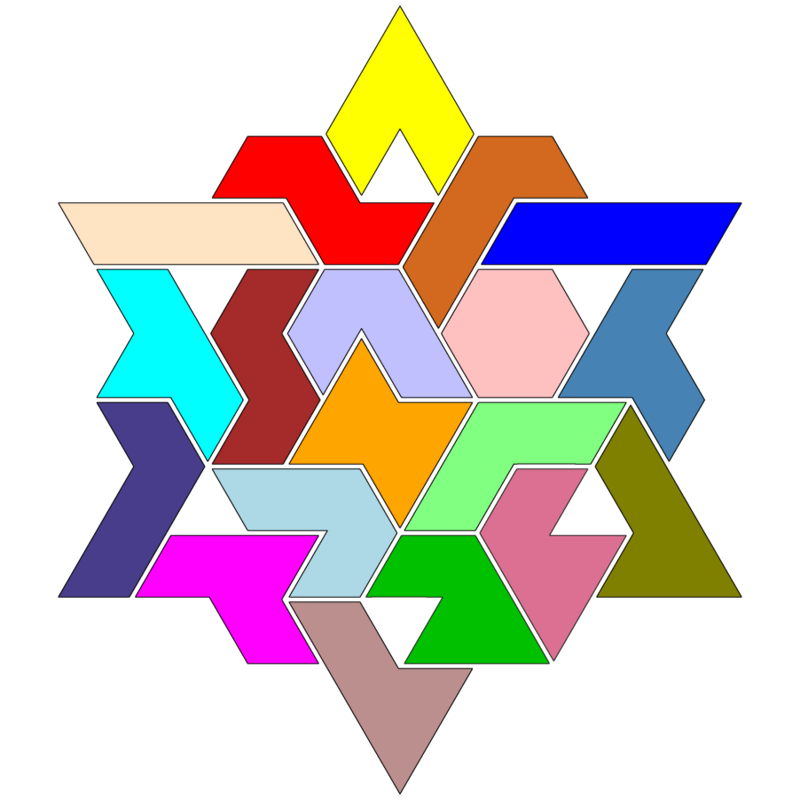 From 4, 7, 8, 9 and 10 Hexiamond pieces you can create pieces with the highest possible number of symmetries. 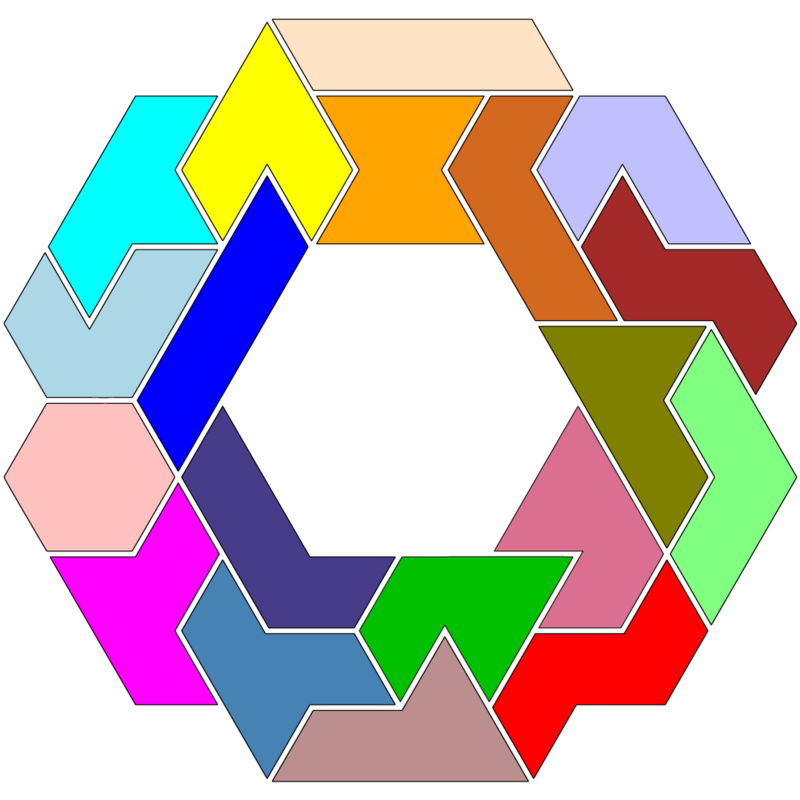 However, there are no fully symmetric pieces consisting of all 12 Hexiamonds of the “normal” game set. 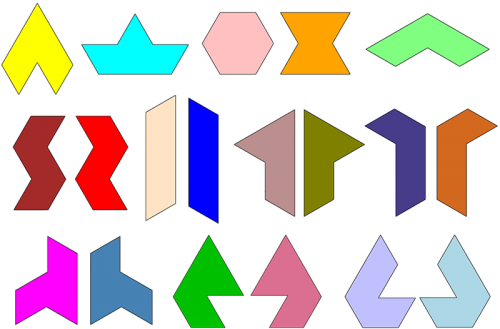 There are fully symmetric figures for the set extended to 19 pieces. 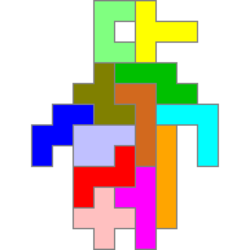 I have modified the program Hexia and found 5 of the 6 figures shown (the first figure is made of Donald E. Knuth – Dancing links). 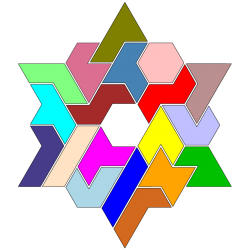 Are there any other fully symmetric figures consisting of 19 hexiamonds?